Democratic lawmakers said they will investigate how three outsiders have been shaping policy and personnel at the Department of Veterans Affairs. A ProPublica investigation Tuesday revealed the vast influence of the trio, who often meet at President Donald Trump's Mar-a-Lago club. 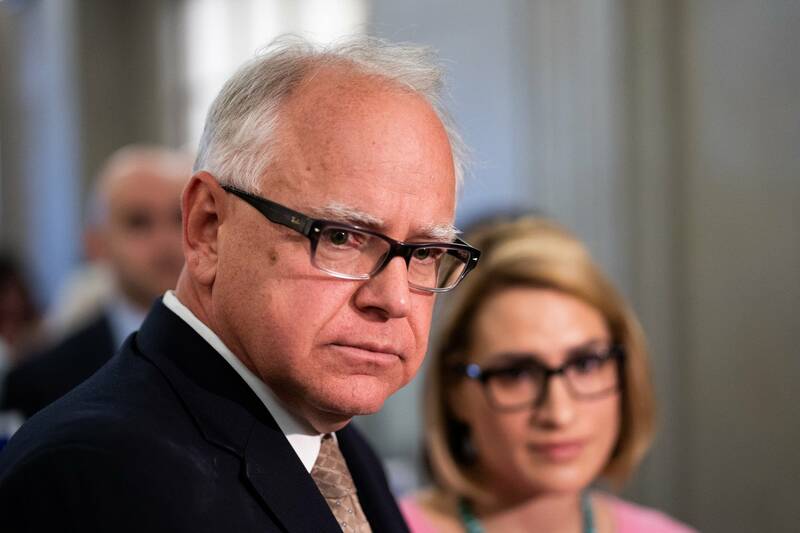 Tim Walz, the ranking Democrat on the House Veterans' Affairs Committee, sent a letter to the agency's new secretary demanding that the VA hand over all records of contacts between agency officials and the three men, who are sometimes referred to as the "Mar-a-Lago Crowd." "This situation reeks of corruption and cronyism,"nWalz (D-Minn.) said in a statement.n"If these revelations prove true, and VA is being secretly run from the shadows of Mar-a-Lago by individuals with no accountability to taxpayers and who have never served in the United States military or government, then that would amount to an unprecedented, disturbing, and profoundly unacceptable betrayal of our nation's veterans." The troika is led by Ike Perlmutter, the chairman of Marvel Entertainment who has long known Trump. Another is Bruce Moskowitz, a Palm Beach doctor who caters to the ultra-wealthy. The third is Marc Sherman, a lawyer who serves as an expert witness in white-collar trials. While they lack relevant experience to veterans' health care, what they do have is the president's ear. ProPublica's investigation, based on interviews with former officials and hundreds of documents obtained through the Freedom of Information Act, revealed that VA officials treated their directives as orders. Officials who didn't get along with the Mar-a-Lago Crowd were sidelined or removed. The top Democrat on the Senate veterans committee, Jon Tester of Montana, also chimed in saying the VA should be listening to veterans, not political insiders. "Any influence and supervision of taxpayer-funded VA personnel and programs by unelected, unaccountable and politically-motivated advisors is deeply concerning," Tester said in a statement. Another member of the committee called for a hearing. "It is just astounding to me that this group of totally unaccountable, unelected and behind-the-scenes people can exert this kind of influence," said Sen. Mazie Hirono (D-Hawaii), in an interview on CNN. The scrutiny comes at a sensitive time at the VA, where Robert Wilkie is serving his first full week as the new secretary. Wilkie has already run into resistance from the Mar-a-Lago Crowd's allies in the agency, according to people familiar with the situation. In his letter to Wilkie requesting documents, Rep. Walz raised particular concern about the instances in ProPublica's story where the Mar-a-Lago Crowd "may have used their influence for personal gain." He asked for records about former secretary David Shulkin's appearance at the New York Stock Exchange with Perlmutter's company, Marvel, and about Moskowitz's involving his son in an effort to get the VA and Apple to build an app. The American Legion, the largest veterans service organization, also responded to the article by questioning the Mar-a-Lago Crowd's qualifications to advice Trump on veterans policies. "We are not about to tell President Trump who he can or cannot take advice from, but we hope that he carefully considers the qualifications and motivations of those offering that advice when it comes to the treatment and wellbeing of America's veterans," National Commander Denise Rohan said in a statement on Twitter.